It’s that time of year again, time to start planning for Summer Reading 2019 A Universe of Stories! 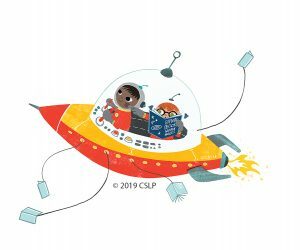 2019 marks the 50th anniversary of the Moon landing and the CSLP and New Mexico State Library is ready to help public libraries celebrate with a space themed summer reading program! There will be one hour for lunch at all workshops, and I highly recommend you bring a lunch as discussion does take place during the lunch hour. If you’d like to contribute to the workshop by sharing an idea, a program, a craft, etc. please let me know deanne.dekle@state.nm.us. To register to attend the workshop please click here and I can’t wait to see you all, 2019 is shaping up to be a great summer!